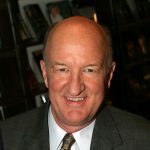 Note From Alexander Green: My friend and colleague Mark Skousen has been a tireless, lifelong promoter of the benefits of our amazing free market system. 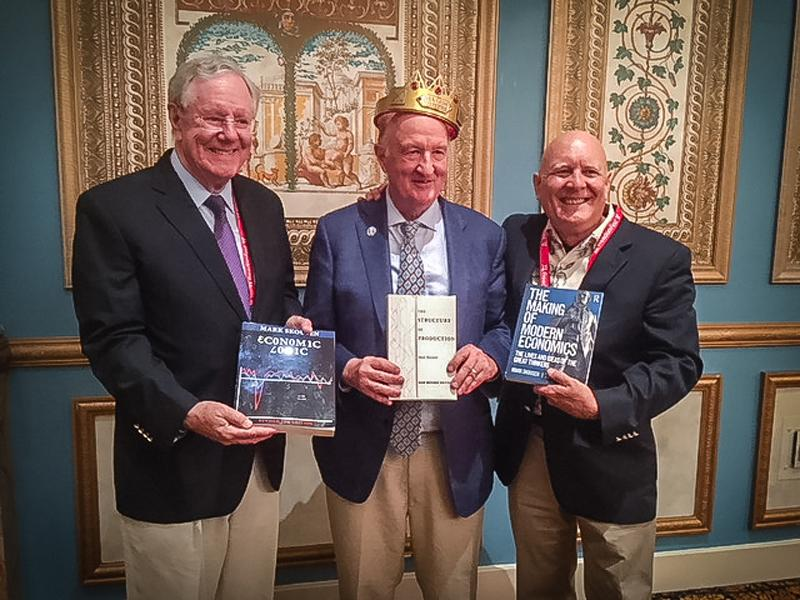 Click here to see why publisher Steve Forbes awarded him the soon-to-be-coveted Triple Crown in Economics. I want to thank Mr. Forbes for taking the time to present me with the Triple Crown in Economics at this year’s FreedomFest. He noted that my greatest achievement was influencing the federal government in 2014 to publish quarterly my gross output (GO) statistic. I regard it as the most significant advance in national income accounting since gross domestic product (GDP) was developed in the 1940s. GO is an essential macroeconomic tool – and a better way to measure the economy and the business cycle. And now it’s an official statistic issued quarterly by the Bureau of Economic Analysis at the U.S. Department of Commerce. I first advocated GO nearly 25 years ago in my magnum opus, The Structure of Production, a book I wrote as an alternative to Keynes’ General Theory. In the newly revised third edition, I show why GO is a more accurate and comprehensive measure of the economy than GDP because it includes the supply chain – all the business-to-business (B2B) transactions that move goods and services to final use. GDP measures the value of finished goods and services only, and omits B2B activity. Thus, GO is an attempt to measure spending at all stages of production. Using GO, I show the supply side of business spending is far more important than consumer spending, more consistent with economic growth theory and a better measure of the business cycle. The Structure of Production is an academic work that has practical value as I integrate what is known as the “Austrian theory of the business cycle.” Sprott U.S. Holdings President and CEO Rick Rule and other investment experts recommend the book because it shows how industries and stocks further removed from final use are more volatile. This is why, for example, resource mining stocks are riskier than consumer stocks. Last month, I had a eureka moment in my class at Chapman University that proves my thesis. Using a four-stage model of the economy – resources, production, distribution and consumption (retail) – I showed that stocks of companies in the earliest stage of production (resources) are in fact more volatile than stocks in the second stage (production), which in turn are more volatile than those in the third stage (distribution)… which are more volatile than those in the final output stage (consumption or retail). I argued that resource stocks (such as mining and energy exploration companies) should be the most volatile and retail stocks should be the least volatile. The students were then asked to test this theory by looking up the beta (a measure of price volatility) for energy stocks based on their distance from final use. The categories included oil drillers and exploration (upstream), pipelines (midstream), refiners (downstream), and gas stations (retail). The conclusion was clear: Energy stocks further from final use tend to be more volatile. Q.E.D.! The class was astonished, and so was I. Once again, my Austrian “fan” thesis held. What’s the implication for investors? If you want less volatility and risk in your portfolio, stay with stocks that are closer to final use. Commodity-based stocks, such as junior oil and gas or mining companies, are inherently volatile. If you’d like to read more about this Austrian theory of volatility, you can buy The Structure of Production for only $21 plus $5 S&H directly from Harold at Ensign Publishing by calling him toll-free at 1.866.254.2057. And I’ll autograph each copy! But another of my books, A Viennese Waltz Down Wall Street: Austrian Economics for Investors, may be more appropriate for the intelligent layman who wants to know more about Austrian economics and the inherent volatility in stocks. The book is available in quality paperback for only $20 postpaid by calling the same contact above.